The Moleskine notebook is the heir and successor to the legendary notebook used by artists and thinkers over the past two centuries. In 1997, a small Milanese publisher brought the legendary notebook back to life, choosing this literary name to revive an extraordinary tradition and accompany the creative professions of our time. Today Moleskine is a brand that encompasses a family of nomadic objects dedicated to our mobile identity, synonym for creativity and an inspiration for ideas, projects and spontaneous collaborations. 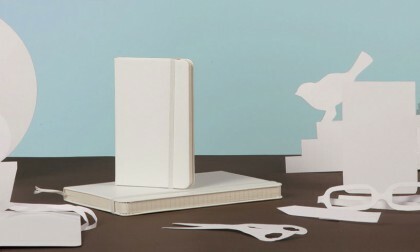 Moleskine is now also a series of collections that go beyond paper: bags, writing instruments and reading accessories. 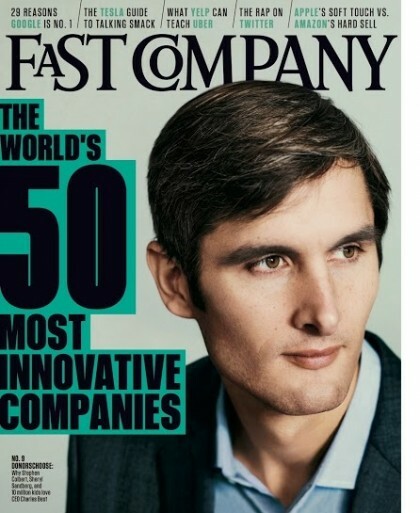 For its annual Most Innovative Companies issue, Fast Company caught up with Moleskine CEO Arrigo Berni to discuss the company’s recent expansions, including the launch of the first Moleskine Cafe and its hugely successful Smart Writing Set. Fortune goes behind-the-scenes with Moleskine Chief Digital Officer Peter Jensen to look at how the company is building a bridge between the digital and handwritten world. Celebrating the magic of storytelling, Moleskine this week unveiled its new Harry Potter Limited Edition Notebooks just in time for both the holiday gift-giving season and the release of the new Harry Potter movie, Fantastic Beasts. PKPR secured coverage in a wide range of outlets including Teen Vogue, Bustle, Glamour, HelloGiggles, The Daily Dot, Geek Dad, ComicBook, Creative Bloq, Nerd Approved and StupidDope. In a perfect extension for the cult notebook brand loved by travelers, artists, writers, and creatives, Moleskine last week opened its first-ever centrally-located Moleskine Café, a two-story social and cultural hub offering food, coffee, retail, and space for exhibits by fans and artists.The café debuts in Milan, the hometown of Moleskine, with the goal of creating a new gathering spot for social, cultural and artistic life that can be replicated in the world’s great cities. Coverage so far has included Fast Company, Food and Wine, Slate, Mental Floss, Apartment Therapy, Business Insider, Yahoo! 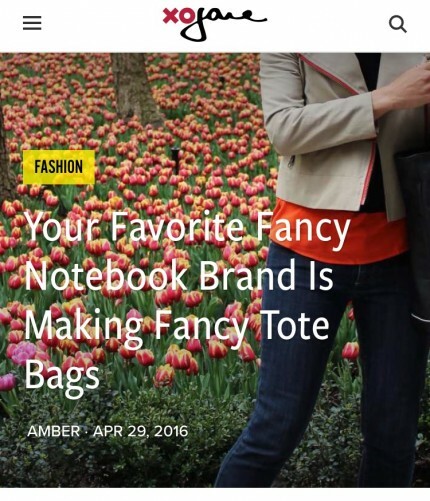 Style, Real Simple, PSFK, Paste, and HelloGiggles. 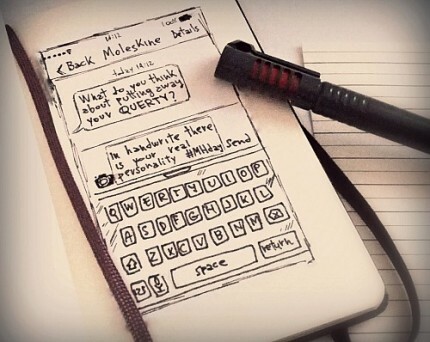 PKPR implemented a massively successful campaign for the launch of the Moleskine Smart Writing Set, a smart pen, notebook, and app that work in tandem to instantly digitize handwritten notes, creating text that can be edited and shared immediately via your phone, tablet, or laptop. Coverage for the launch appeared in media outlets with a total of 335 million impressions, making it a trending story on both Facebook and BuzzFeed. - Rave reviews in outlets including Wired, The Atlantic, The Verge, Digital Trends, and PC World. 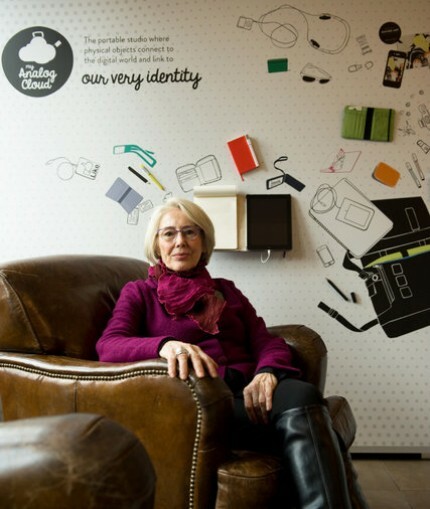 National Handwriting Day, a program developed by PKPR four years ago, has become a major global event led by Moleskine. For National Handwriting Day 2016 on January 23, Moleskine invited celebrities and fans to participate. 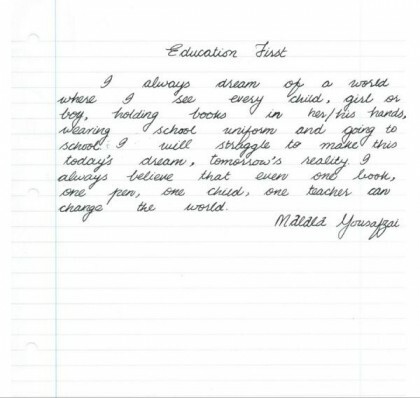 This year, participants including Debra Messing, Bruce Willis, columnist Connie Schultz, and New Yorker cartoonist Liza Donnelly shared their handwritten Tweets and Facebook posts. 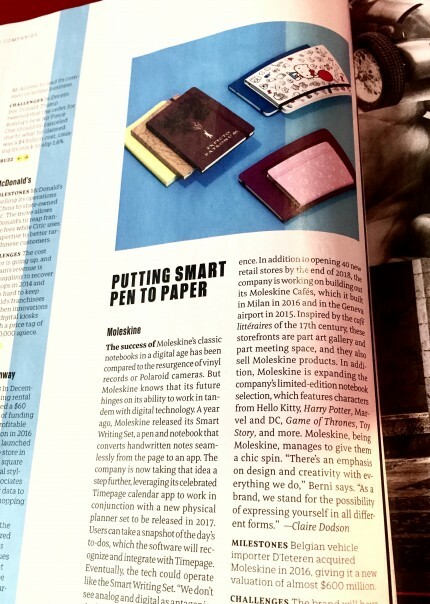 Outlets like CNN, AdWeek, InStyle, and Quartz helped to spread the message by featuring Moleskine in their coverage. 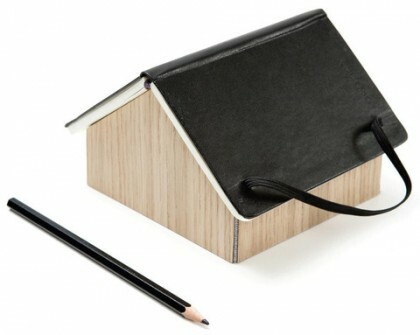 Other initiatives for 2016 included participation by Moleskine Retail Store locations where customers could handwrite a message to put on social media and receive a free notebook on Handwriting Day. View the gallery of submitted messages here. 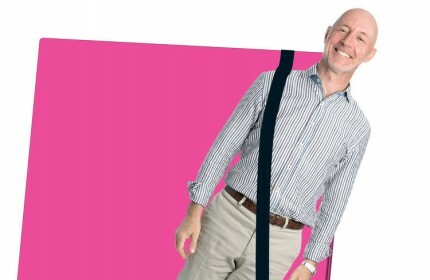 The fantastic photo of Moleskine CEO Arrigo Berni above was taken for a full-page profile of Moleskine in the new issue of Bloomberg Businessweek. The New York Times dedicates a half-page in today’s Sunday Business section to an in depth look at how Moleskine is adapting and evolving in a digital world. PKPR organized Moleskine’s first ever showroom event to preview its spring 2015 collection. 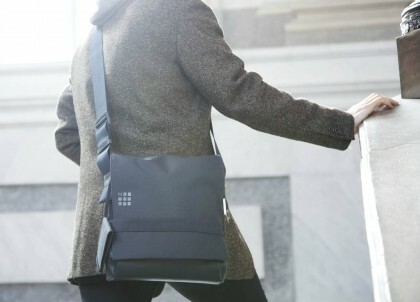 The event gave media an exclusive first look at limited edition collections and the new line of Moleskine bags as well as demos of Moleskine smart notebooks and apps. Outlets attending the event include US Weekly, Refinery 29, ABC News, Conde Nast Traveler, Bustle, Complex, Cool Hunting, am New York, Modern Luxury Magazine, Nylon, Slate, The Gadgeteer and Thought Catalog. 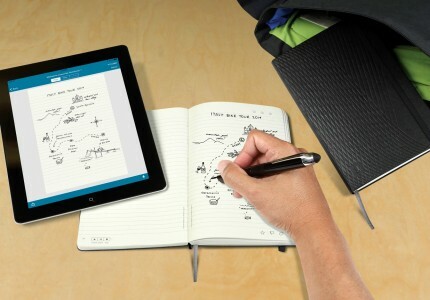 National Handwriting Day, a program developed by PKPR three years ago, has become a major global event led by Moleskine. 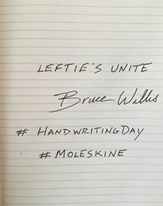 For National Handwriting Day 2015 on January 23, Moleskine invited leaders and fans to participate. This year, everyone form Top Chef’s Sam Talbot to Huffington Post handwrote their Tweets and Facebook posts. Outlets like AdWeek, The Daily Dot, Paste Magazine, HLN and Inhabitat helped to spread the message by featuring Moleskine in their coverage. 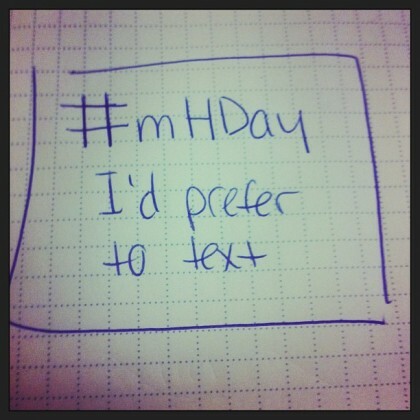 This year, nearly 700 photos were submitted from around the world almost doubling that of Handwriting Day 2014. View the gallery of all submitted messages here. 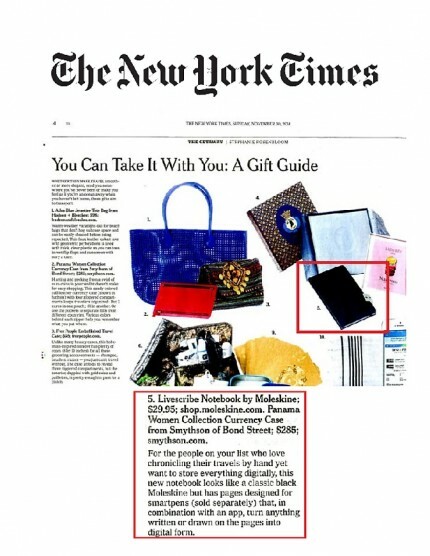 PKPR implemented a comprehensive campaign to ensure coverage of the full Moleskine collection in major holiday guide gift guides published by lifestyle, technology, and business media outlets. Highlights included: Mashable, Fast Company, Esquire, Bustle, Refinery29, Glamour, Business Insider, Cool Hunting, ThoughtCatalog, E! Online, Teen Vogue, PSFK, Paste, and Cool Mom Tech. Moleskine this week launched a new custom notebook and app with Adobe that condenses the creative process into just a few simple steps, allowing creative professionals and anyone with an idea to quickly turn hand-drawn sketches on paper into workable Photoshop or Illustrator files on Adobe’s Creative Cloud platform. PKPR pitched top targets under embargo and secured launch day stories in nearly every major technology and design outlet including TechCrunch, Gizmodo, Fast Company, Wired, Cool Hunting, VentureBeat, The Next Web, PSFK, ArchDaily, Brit + Co, SlashGear, and HypeBeast. Turning notebooks into iPads, Moleskine launched a new notebook collection that works with Livescribe Smartpens, allowing you to translate handwritten notes and sketches into digital form in real-time. An avalanche of positive media coverage helped pre-orders sell out in just three days. Highlights included: Slate, Fast Company, Esquire, ArchDaily, Design Week, Dezeen, PSFK, designboom, Paste, HypeBeast, StupidDope, Brit + Co, Creative Bloq, and Dexigner. 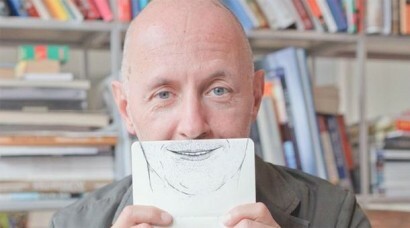 Why is Moleskine, a seemingly paper-based company, thriving in a digital age? Both The New Yorker and The Wall Street Journal took in depth looks this week at how the company is evolving and succeeding in a world of tablets, texts, and tweets. 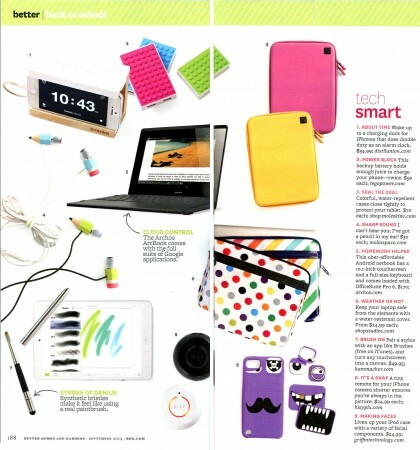 That’s what Lucky Magazine said about the sleek new line of bags and wallets unveiled by Moleskine last week. PKPR placed an exclusive on the brand’s expansion into accessories with WWD and secured launch week coverage in outlets like Stylecaster, Selectism, GeekDad, The Manual, Dexigner, and more. For the second year in a row, PKPR spearheaded a social media campaign for Moleskine for National Handwriting Day on January 23rd. To take this year’s initiative to a new level, PKPR invited leaders like Malala Yousafzai, Katie Couric, and airBnB co-founder Joe Gebbia to handwrite a social media message and share it with their millions of followers. Outlets like USA Today, Nylon, Politico, Real Simple, GirlsLife, Mediabistro, Social Moms, and Good News Network helped spread the campaign even wider. Overalll, more than 350 handwritten messages were submitted by people around the world, more than doubling the amount of entries received in 2013. View the gallery of all submitted messages here. 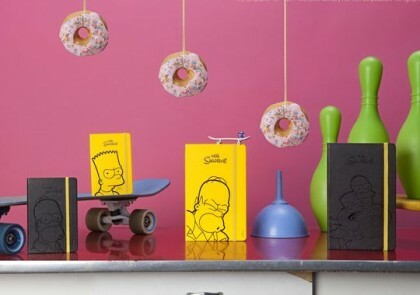 To celebrate the Simpon’s 25th season, Moleskine last week unveiled a limited edition Simpsons notebook, resulting in rejoicing around the world from Springfield to London. Coverage highlights included USA Today, HypeBeast, HelloGiggles, Complex, StupidDope, High Snobiety, FreshnessMag, Animation World, Trendhunter, and Design You Trust. 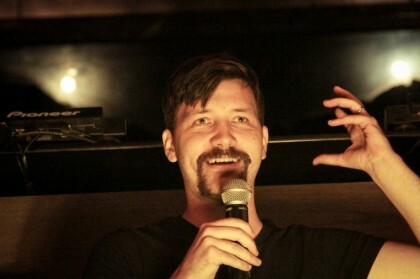 We had an amazing time last night at the latest edition of the Moleskine Salon series at the Dream Hotel. Moleskine fans and journalists from BuzzFeed, Conde Nast Traveler, Travel + Leisure, Real Simple, Teen Vogue, WNBC, and more turned out for an evening of travel stories told by Dylan Thuras of Atlas Obscura (above), Vipin Goyal of SideTour, Alyse Archer-Coite of Maker Magazine, and Joe Diaz from Afar Magazine. Moleskine is one of the most popular and trusted brands when it comes to helping people be more creative, productive, and organized. 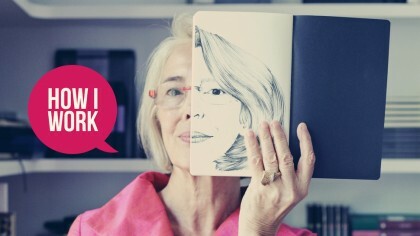 So it only makes sense that Lifehacker loved PKPR’s idea for featuring Moleskine co-founder Maria Sebregondi in its “How I Work” series. In addition to sharing the contents of her bag (not surprisingly, we spy several Moleskine notebooks), Sebregondi provided the one word that describes best how she works (“phygitally”), her secret talent (making Pasta al forno), and her favorite to-do list manager (pen and paper). Check out the full story here. To promote the publication of The Detour Book, a stunning collection of Moleskine notebooks hacked, drawn, and designed by more than 250 of the world’s top artists, designers, and creative thinkers, PKPR secured an exclusive, four-part online series with Dwell Magazine. 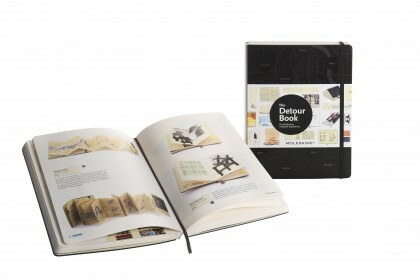 The series included interviews with Moleskine co-founder Maria Sebregondi and up-and-coming designers featured in The Detour Book including GamFratesi and Scott Henderson. How do you say Moleskine? That was just one of the questions Moleskine CEO Arrigo Berni answered tonight in this terrific interview with Marketplace host Kai Ryssdal. BTW, the correct answer: Say it however feels good. There is no official pronunciation. 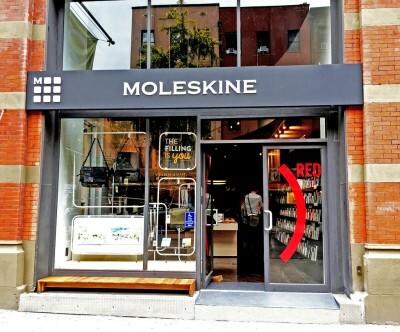 Moleskine Opens First Store in U.S.
Moleskine fans rejoice! 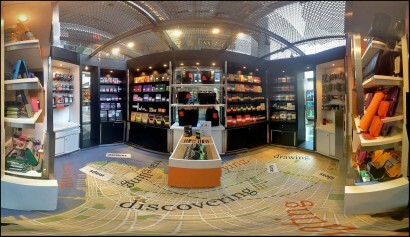 The first Moleskine store in the United States opened at The Time Warner Center in New York City late last month. PKPR arranged for media outlets to have a sneak preview of the store on the evening before it opened. Outlets singing the praises of the smartly-designed store featuring the full range of Moleskine collections - notebooks, journals, bags, pens, and more - included New York Magazine, Time Out New York, DailyCandy, Racked, Dwell, PureWow New York, Complex, Thrillest’s The Crosby Press, and The Scout. 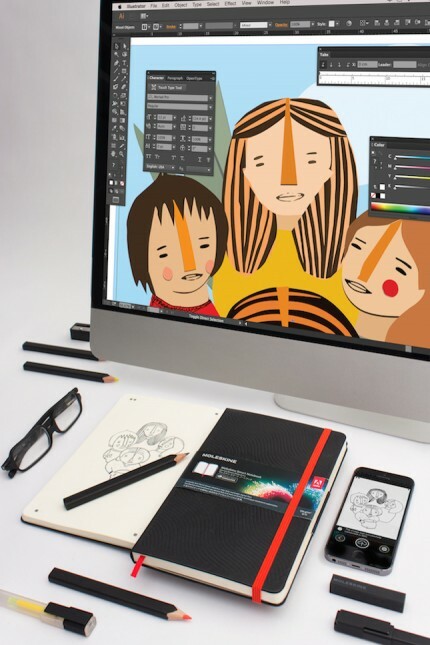 Want to experience the Moleskine store from your desktop? No one does it better than this awesome segment by Marketplace. For its annual Digital Mavericks issue, Details Magazine partnered with Moleskine to invite fans to draw the future of social media. 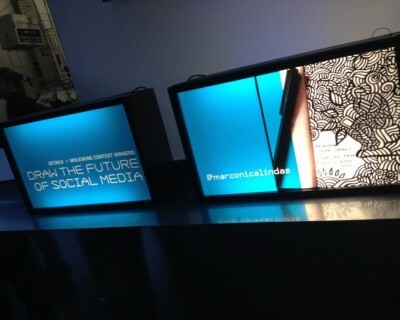 The winning drawings were showcased at the Digital Mavericks party at the New Museum in New York City on March 27th. Outlets like The Huffington Post and PSFK published photo galleries and slide shows of the winning drawings, as well as drawings sketched by the founder of Thrillist, Lyst, and Viddy. 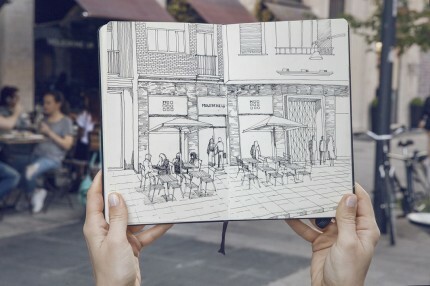 Moleskine, famed for its legendary black notebooks, this week unveiled the Moleskine White Notebook. Think the Beatles’ The White Album, Malevich’s White on White canvases, Le Corbusier’s white blocks, and your sleek, white smart phones and laptops. Check out the coverage in Nylon, Dwell, Complex, Gizmodo, Designboom, PSFK, Design Taxi, HypeBeast, Remodelista, and more. 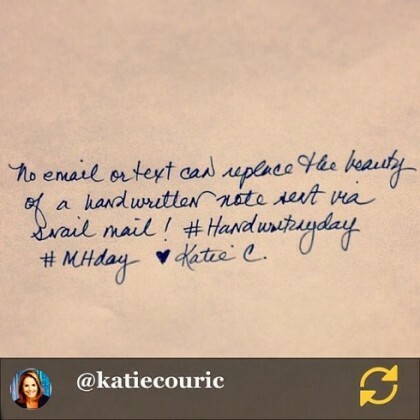 To celebrate National Handwriting Day on January 23rd, PKPR developed a social media campaign with Moleskine inviting fans to handwrite their latest status, Tweet, or more and share a photo of it on Instagram. The results were gathered in an online gallery and covered by outlets from Mashable to Esquire.com to Mediabistro. Celebrating the power of handwriting and sketching, Moleskine this week unveiled The Detour Book, a collection of more than 250 notebooks that have been decorated, hacked, and sketched by some of the world’s leading artists and creative thinkers, including Spike Jonze, Christian LaCroix, Dave Eggers, Sigur Rós, Mary Ellen Mark, Toyo Ito, Mike Figgis, Paula Scher, and Karim Rashid. PKPR placed several terrific features on the book, many with slide shows and photo galleries of artists’ notebooks, in The Huffington Post, The Atlantic, Brain Pickings, Flavorwire, Mediabistro, Design Taxi, and more. Stay tuned for stories in upcoming issues of Elle Decor and Art News. 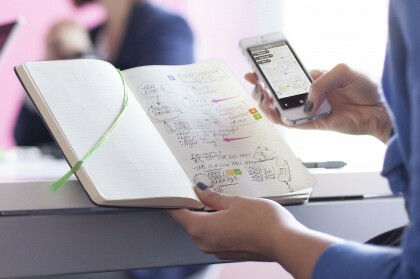 In a genius collaboration, Moleskine has partnered Evernote to create the Evernote Smart Notebook, which will enable users to digitize and search their hand-written notes and sketches with a snap of their iPhone camera. PKPR used the announcement as a news peg to secure coverage on Moleskine and its larger initiative aimed at bridging the analog and digital worlds. Two highlights included an interview with Moleskine CEO Arrigo Berni on NBCNews.com and an interview with Moleskine America president Marco Beghin in Fast Company. Stay tuned for reviews of the Evernote Smart Notebook in Wall Street Journal, Wired, and Mashable when it goes on sale in stores on October 1st. PKPR is thrilled to be working with our new client Moleskine, a company that has built its brand by engaging with its fans in an intelligent, sophisticated, and thoughtful way. As Moleskine expands with new collections and initiatives dedicated to a mobile lifestyle, PKPR is looking forward to implementing a smart, strategic campaign that reflects the Moleskine approach, style, and legacy. Check us out in PR Week for the full story!